Looking for a change in your at home dining experience? Has your family recently grown? or maybe your kids have all moved out and you would like to make your dining room cozier. Whatever your dining room furniture needs may be, Vizion Furniture has a solution for you. 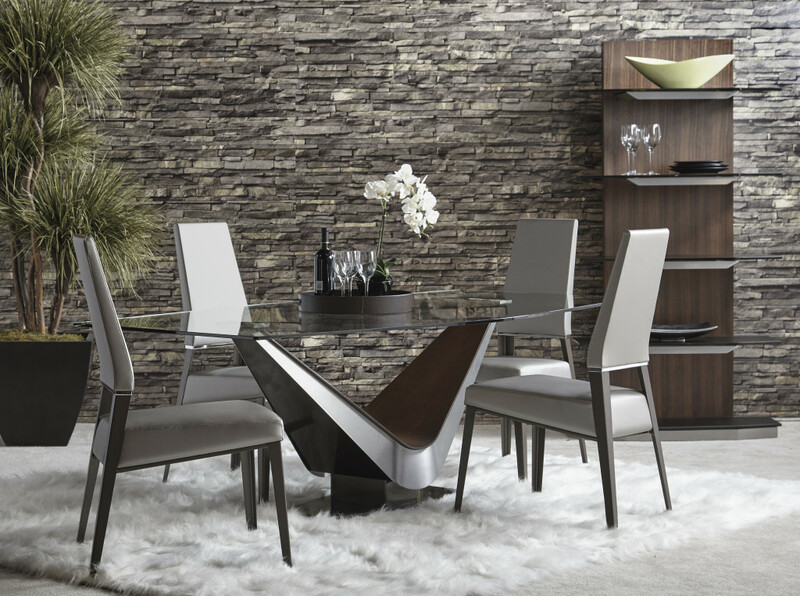 With our fine selection of modern Scandinavian Dining Room Sets and Furniture, you will be sure to find the perfect pieces to make your dining room look its best. The Parade dining table has a solid wood top and is available in six colors on the wood top and fourteen colors on the metal base. 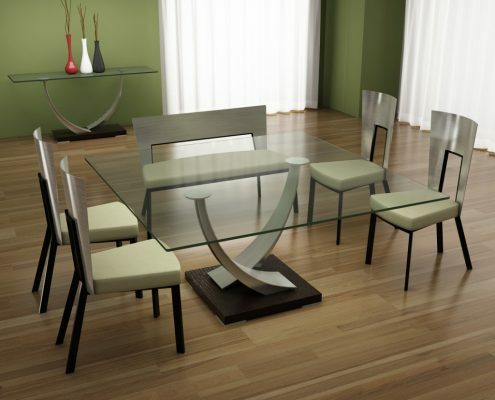 Table sizes are 40″x72″, 40″x84″ and 40″x120″. Matching dining chairs and benches can be ordered with over sixty different seat fabrics. 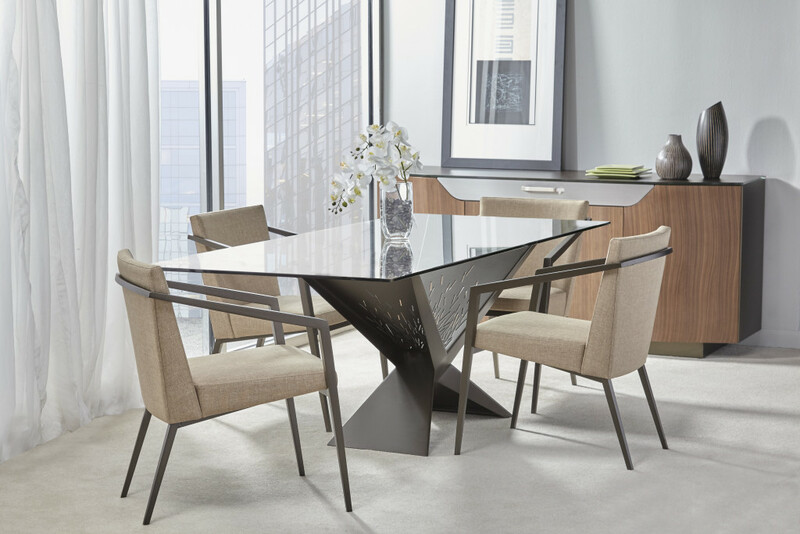 The Atlas rectangular dining table has a tapered metal base with abstract laser cut starburst pattern and the clear glass top measures 42″ by 74″. The Soho dining chairs are available with either fabric or leather. 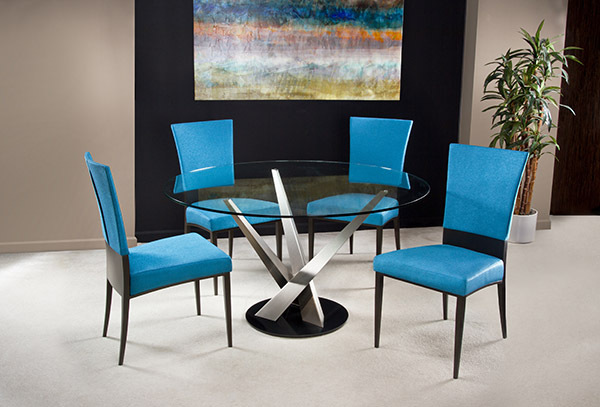 The Crystal round dining table has interlocking steel uprights and is available with either a 48″ or 54″ round clear glass top. 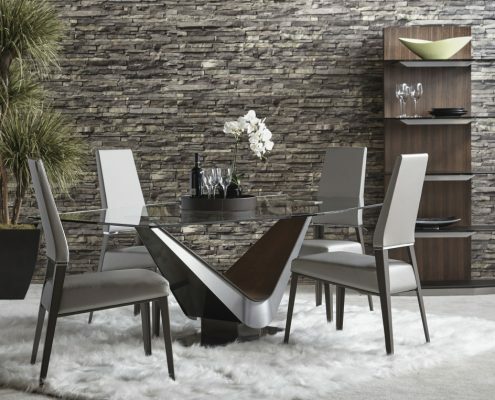 The Carina dining chair is available with either fabric or leather. 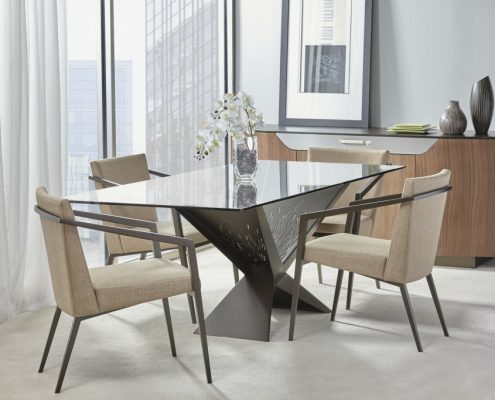 The Omnia dining table is available in two sizes which both extend. 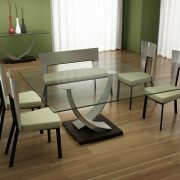 Seven colors are available for the leg and frame and ceramic, glass and wood is available for the table top. The Bess dining chairs are available either in fabric or leather.